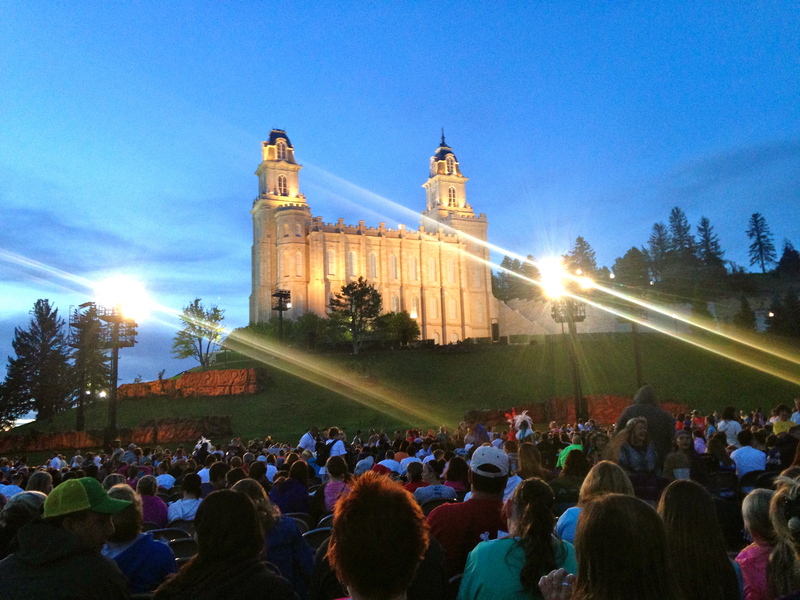 in june i went down to the manti pageant with my *singles ward. i had a great time making new connections with those in my ward and enjoying an evening of spirituality and of course with a ton of laughs thrown in for good measure. i am enjoying my new ward and becoming formula with everyone and of course making friendships. it feels a little different coming in to a *singles ward again after years of being in a family ward and of course being married. but i do find a lot of similarities with people, i suppose its kinda like high school, there is always one of every character in a ward and i think it gives it a good healthy dose of balance in there to even everything out. i am just grateful that so many have welcomed me in and allowed me to tag along. we all have our own stories of how we have become who we are and i always enjoy listening to everyones stories as well as telling my own. i suppose it is therapeutic in a way and i suppose that is how the singles ward is to me. Jess – that asterisk made me laugh! I am glad I could make you laugh and I am not the only one laughing at my own jokes.